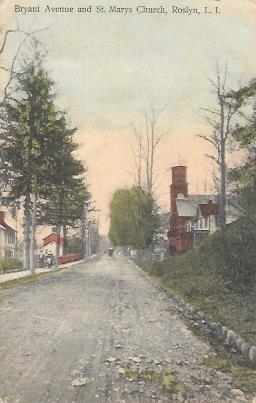 Bryant Avenue and St. Mary’s Church, Roslyn, L.I. Published by W. Pickering, Newsdealer and Stationer, The Studio, Roslyn, L.I. [Illustrated Post Card Co., N.Y.] Made in Germany. Published by W. Pickering, Newsdealer and Stationer, The Studio, Roslyn, L.I. 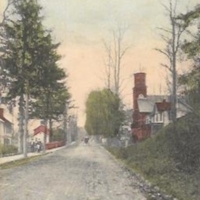 [Illustrated Post Card Co., N.Y.] Made in Germany., “Bryant Avenue and St. Mary’s Church, Roslyn, L.I.,” Hofstra University Library Special Collections: Digital Collections, accessed April 19, 2019, https://omeka.hofstra.edu/items/show/2833.